So this just happened. 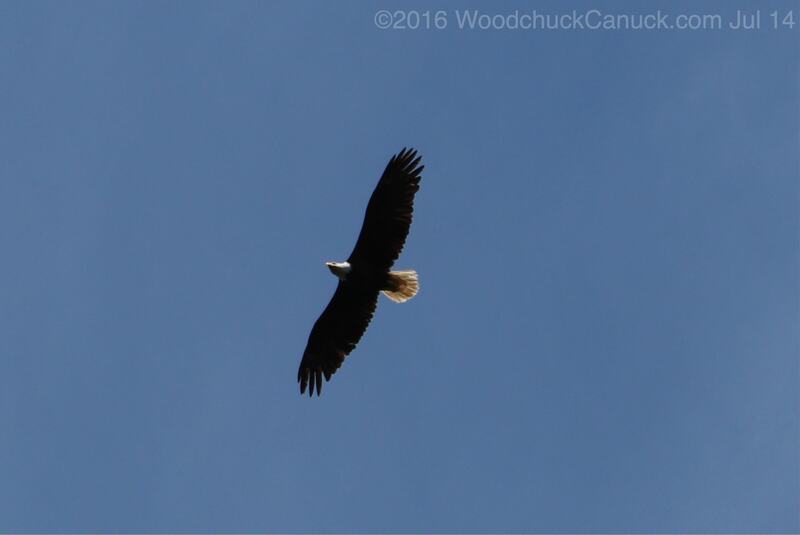 It happens occasionally overhead but rarely does the eagle soar for so long. Scrambled to run into the house to get the camera. Still a blurry image but best I could do with a maxed out zoom on a moving target a couple hundred meters overhead.